Ginger, ginger, ginger! 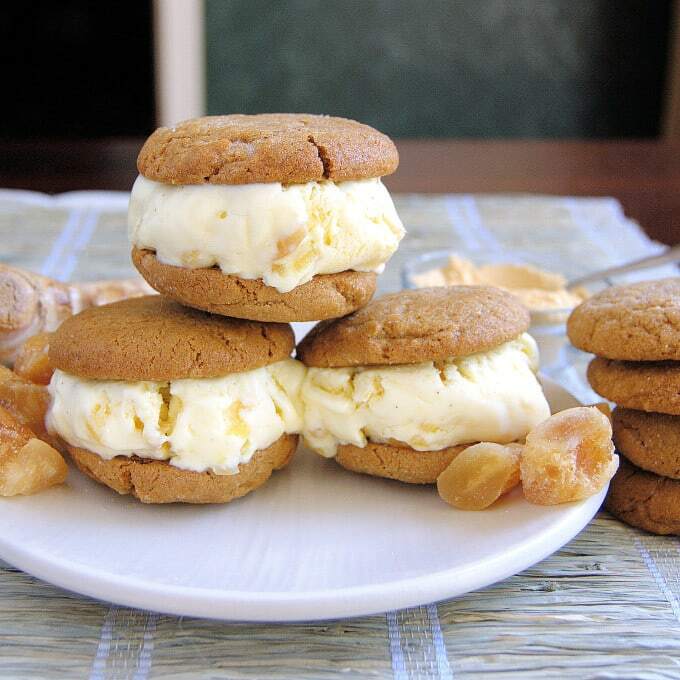 Try these Triple Ginger Ice Cream Sandwiches if you just can’t get enough ginger. Spicy ginger cookies filled with homemade ginger ice cream with a hint of Ceyenne spice. It’s summertime! 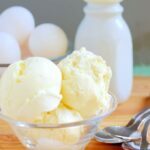 We need another ice-cream recipe, don’t we? I love to make ice cream sandwich fixins for an outdoor get-together. 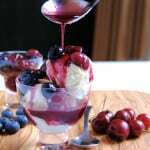 Not only is it a fun and refreshing dessert, but everything can be made at least a day ahead. 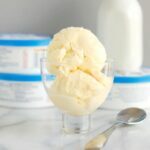 In fact, the ice cream must be made the day before to have time to freeze and the cookies are better made a day ahead so they can soften just enough to make biting the sandwiches a little easier (no ice cream squish!). All you have to do at the party is put everything on the table with an ice cream scoop. 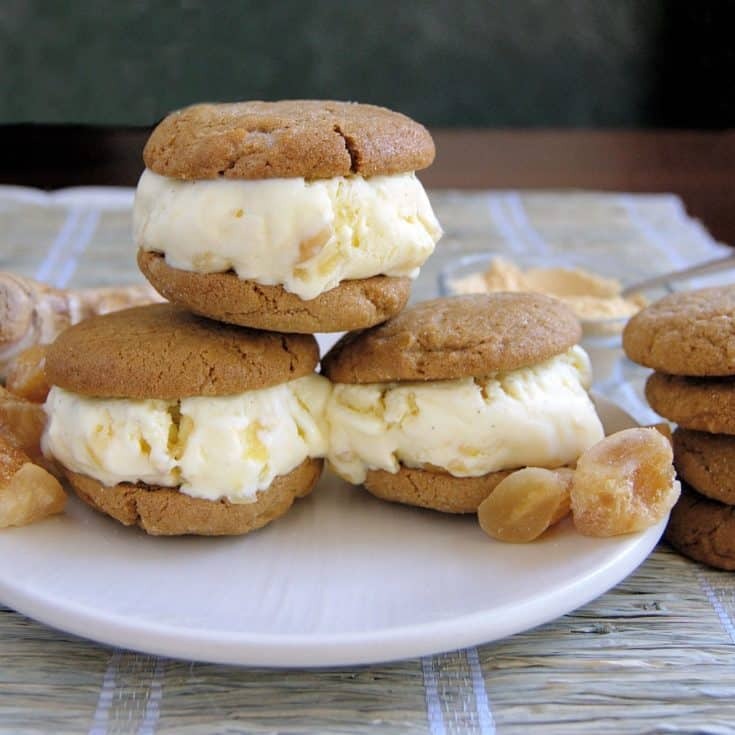 If you’re having a larger crowd it’s nice to offer at least two different cookie flavors and several different ice creams to create a make-your-own ice cream sandwich bar. 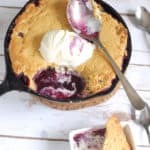 Everyone can create their favorite combinations. If you make the cookies on the smaller size no one has to feel guilty about trying more than one combination. This combination is one of my new favorites. I love ginger and wanted an ice cream sandwich that was not shy with the ginger flavor. 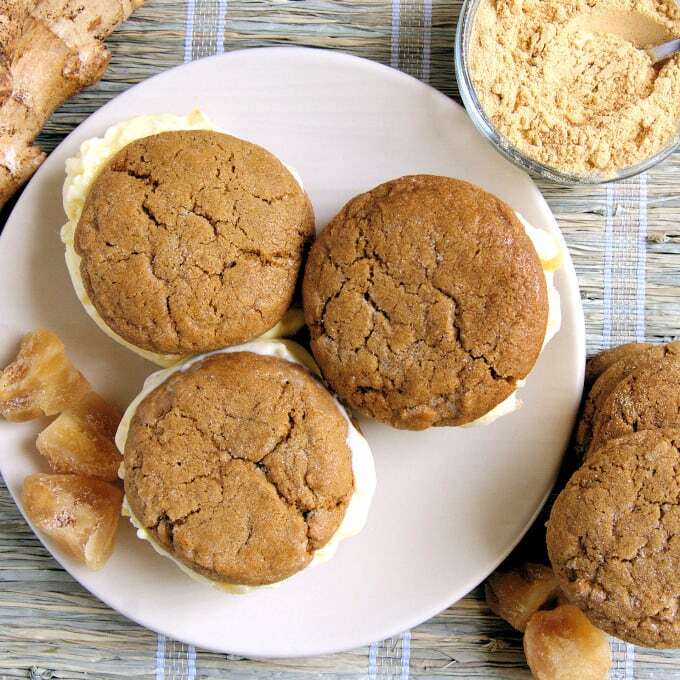 I used 3 types of ginger; fresh, dried and crystallized to create a powerful punch of ginger for these Triple Ginger Ice Cream Sandwiches. 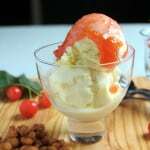 Just to amp up the flavor even more, I spike the ice cream with a little Ceyenne pepper. Leave it out if you don’t like the heat. This would an especially nice finish for a dinner with lots of bold flavors like grilled meats and barbecue sauce. 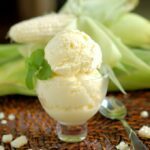 The ice cream has grated fresh ginger for a punch of fresh flavor and then chopped crystallized ginger is whirled into the ice cream before it’s stored in the freezer. I love the little bursts of sweet-spicy ginger from the crystallized pieces. The cookies are chewy from molasses and spicy from a full 2 tablespoons of dried ginger. I use a scoop to portion the cookies so I get consistently sized cookies. 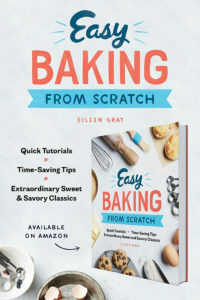 For this recipe I used a 1.5 oz scoop, which makes a dough ball about 1.5″ across and baked cookies about 2.5″ across. 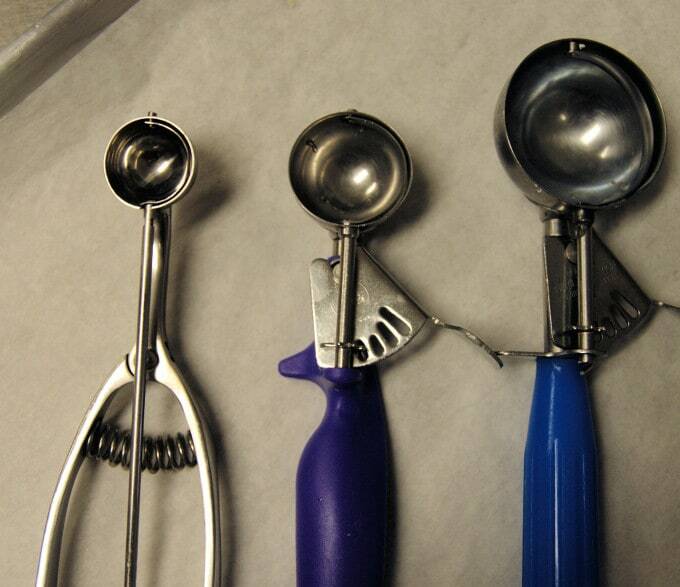 I have an assortment of different cookie scoops. Choose the size based on how big you want your ice cream sandwiches to be. The cookies will crackle in the oven. 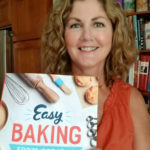 With the 1.5 oz scoop I got 36 cookies, or enough for 18 sandwiches.Keep this cookie recipe on file, because after the summer these cookies would also be great sandwiched with cream cheese icing. 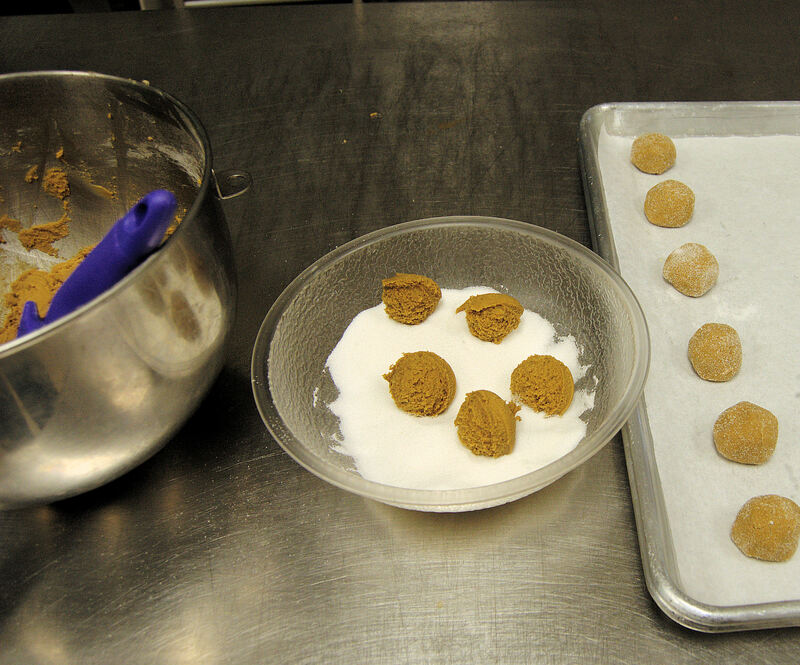 Strain the mixture into a bowl, cover with plastic wrap and refrigerate for at least 3-4 hours or overnight. 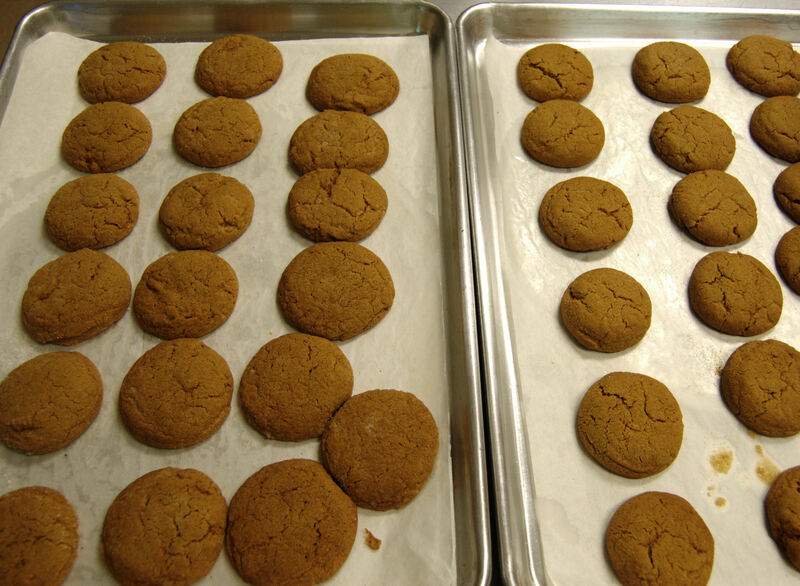 Bake until the cookies are set but still look slightly under baked, about 10 minutes. Cool on the sheet pan for 5 minutes and then transfer the cookies to a cooling rack to finish cooling. 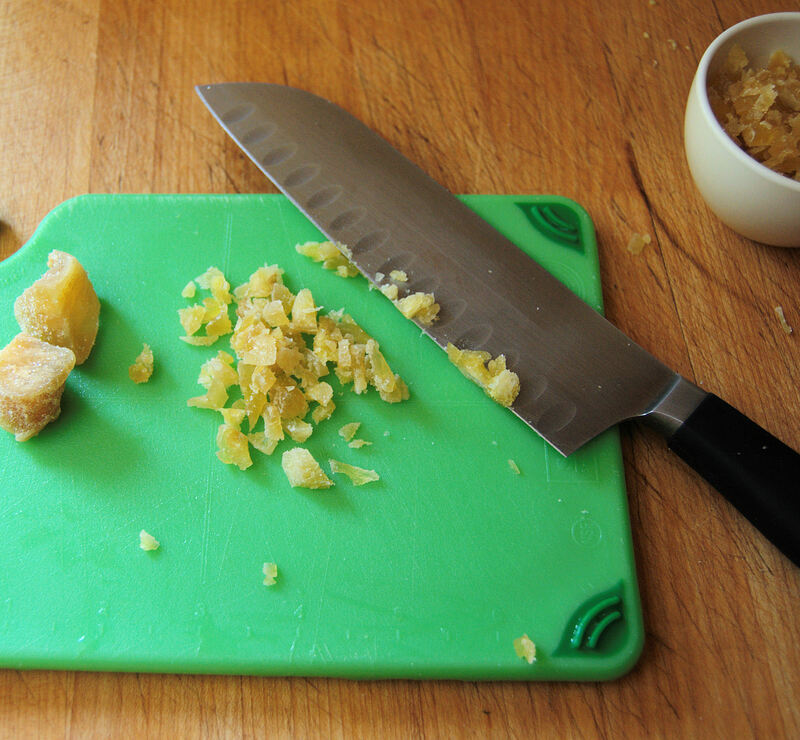 I keep fresh ginger in the freezer between uses. 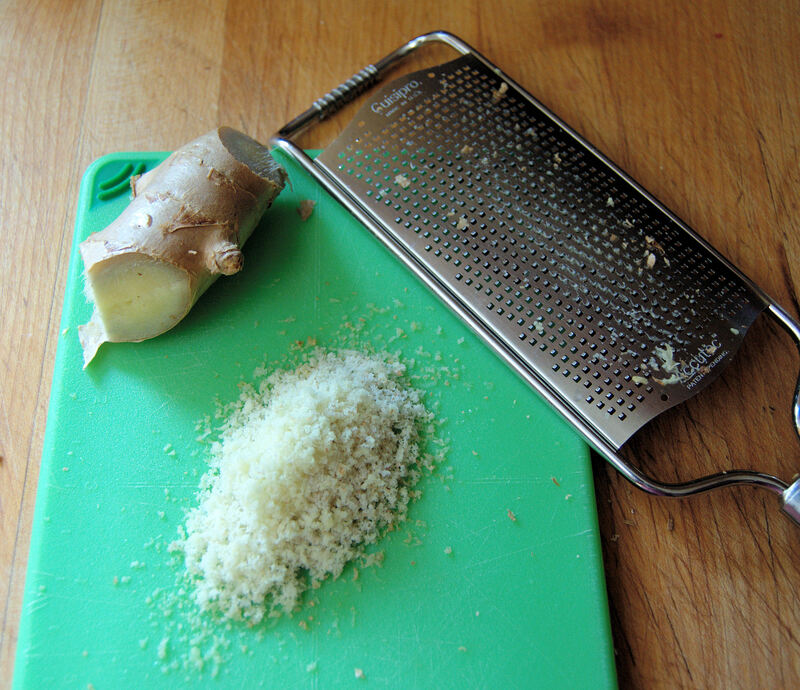 It's very easy to grate the frozen ginger with a rasp grater. 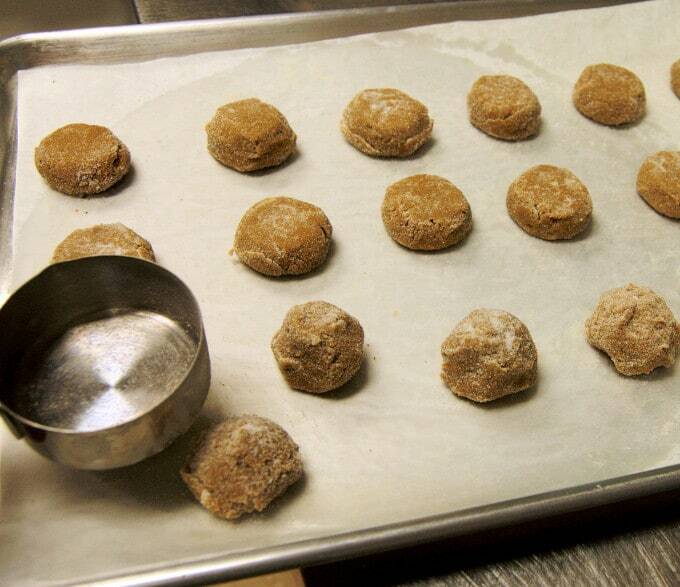 These cookies will be crisp the day they are baked and will soften after a day. For ice-cream sandwiches I like them softened so I make the cookies the day before. It makes the sandwiches easier to bite. Store the baked cookies in a cookie jar or in a container with a tight fitting lid. They'll keep for several days.